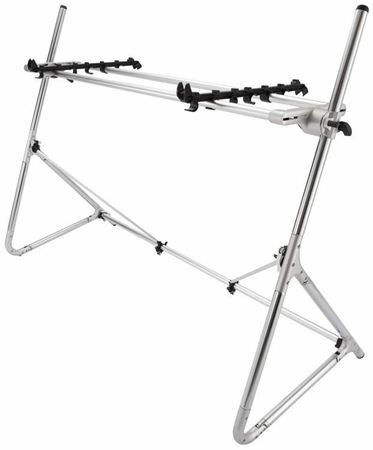 Order your SEQUENZ Standard Medium Keyboard Stand from AMS and enjoy 0% Interest Payment Plans, Free Shipping, Free Extended Warranty & 45 Day Money Back Guarantee. Ideal for 73/76-note keyboards, the SEQUENZ standard medium keyboard stand is appropriate for supporting 73/76-note keyboards such as the KORG KRONOS 73, KROME 73, and SV-1 73. It can also support compact 88 keys such as the Grandstage 88. Dimensions: 1,440 (W) x 600 (D) x 1,100 (H) mm / 56.7" x 24" x 43.5"